Wall Street rocket scientists are combining swaps with other financial tools to create new and more powerful financial products. Swaps on options and swaps on futures are now commonplace, while even more sophisticated products are being developed. 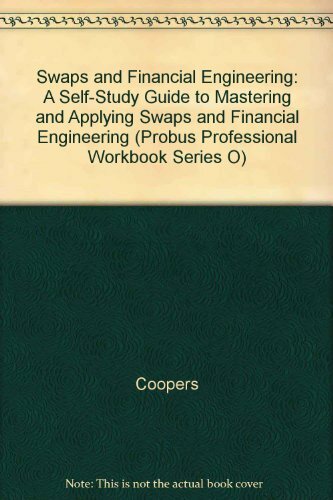 Swaps and Financial Engineering shows financial practitioners how to harness the power of these new instruments. If you have any questions about this product by Brand: Probus Professional Pub, contact us by completing and submitting the form below. If you are looking for a specif part number, please include it with your message.